Paddlesurf is an exhilarating dynamic discipline of kayaking where we surf ocean waves in a similar style to traditional surfers. We use specially designed Kayaks and Waveskis to surf waves of all sizes. 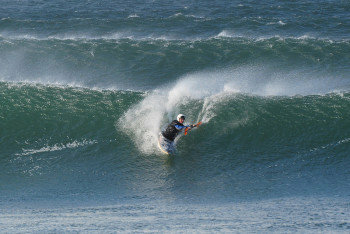 Paddle surfing is one of the only disciplines in which Ireland can offer truly world class conditions, proven by our hosting of the World Surf Kayaking Championships in 2003. To promote paddlesurfing in specially designed surf craft. To increase awareness of safety and etiquette in the surf. 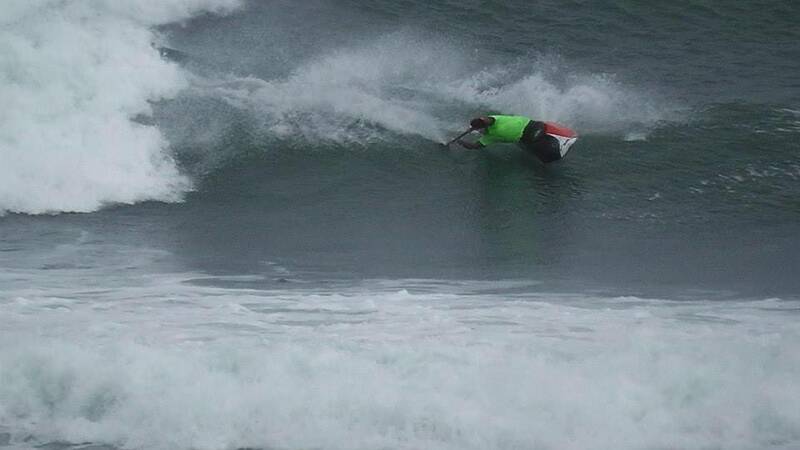 To teach skills to increase your fun in the surf with the Paddlesurf Awards. 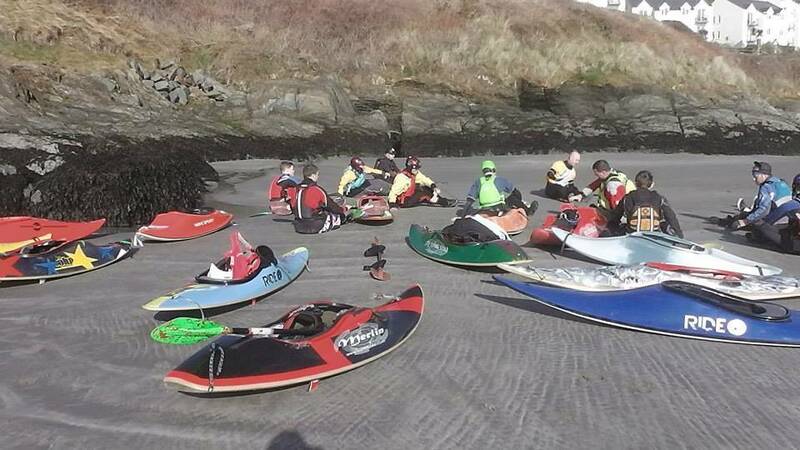 To organize competitions for competitive Paddlesurfers. We try and make our surfing feel and look as dynamic and fast as possible. Generating speed on a wave helps us perform Top turns, Bottom turns, Cutbacks and even Aerial Tricks. We surf three types of craft. All designed with the purpose of making the most of a wave. Short Boat – Shorter than 3 meters in length. 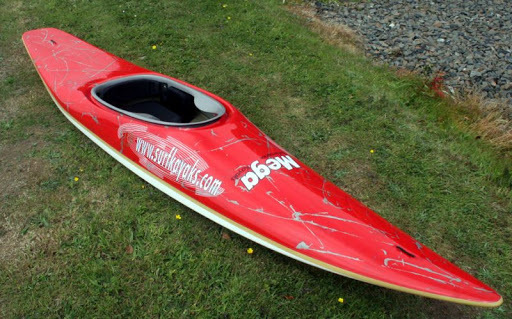 These kayaks have fins and perform similar to surfboards. They are fast and extremely fun to surf. Tight fast turns and agile surfing are easy in these boats. Long Boat – Over 3 meters in length with no fins. Despite having no fins, they still have great grip on the wave due to their shape and length. They surf like a long board, great for any type of wave and they catch waves very easily. 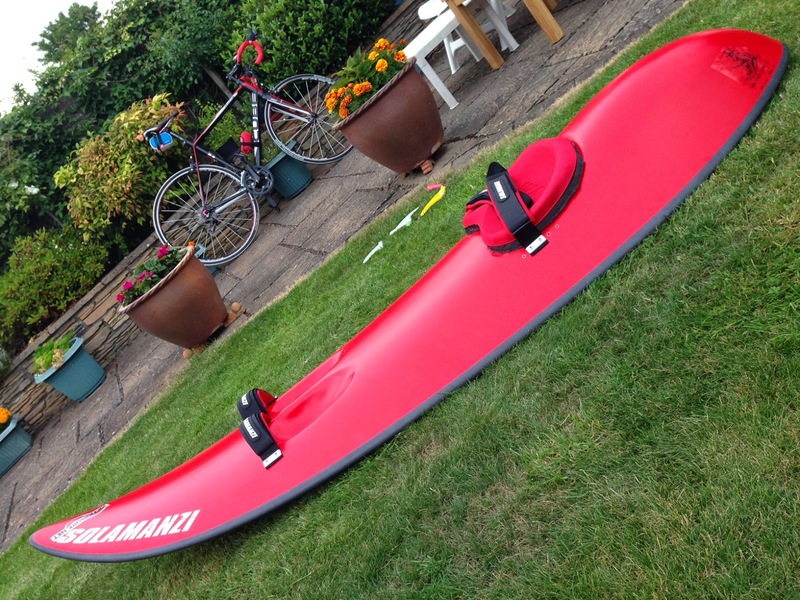 Wave Ski – This is like a sit on top but specially designed for surf with fins. These are fast and very radical craft. Top level wave ski is incredible to watch.